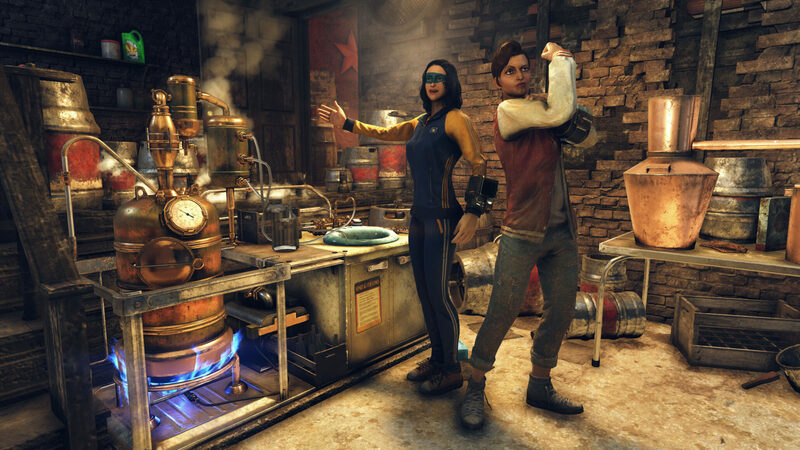 In a new Inside the Vault blog post, Bethesda revealed plenty of details on the new crafting system coming soon to Fallout 76 as part of the content roadmap. The new Brewing Station workbench will allow players to concoct all kinds of spirits. Here’s how it’s all going to work when the update goes live on March 12th. Your path to becoming the Wasteland’s premiere bartender will begin near Vault-Tec University. There you will relive the glory days of VTU’s finest and discover the mischief they got up to outside of the classroom. 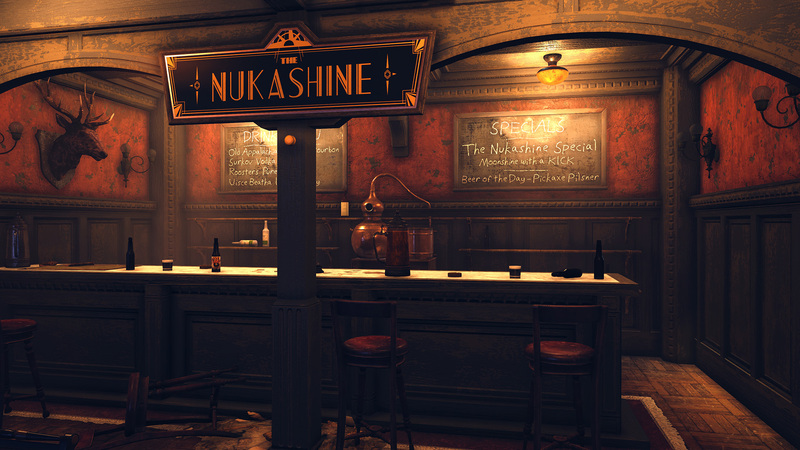 Your continued studies will lead you to a notorious speakeasy, introduce you to Biv—Appalachia’s tipsiest robot, and teach you to craft the illicit Nukashine using the all-new Brewing Station. The Brewing Station is a workbench that you’ll learn to construct during the ‘Wasted on Nukashine’ quest. This crafting station can be placed in your C.A.M.P. and is used to create a variety of adult beverages, including beers, cocktails, wines, and spirits. Be mindful of the refreshments you toss back: while each will impart you with a temporary buff, they also each bring a drawback and, just like real life, will result in a mild hangover. Some drinks, such as wines and spirits, require additional fermentation time before they’re ready to be served at your next shindig, and their effects will become even more potent the longer you allow them to ferment. During ‘Wasted on Nukashine’, you’ll also learn to craft the Fermenter. Build one of these in your C.A.M.P. and place drinks within to reduce the wait time needed to try your latest creations. Effects: Your successful melee attacks have a chance to inflict you with a disease but may also refill your hunger meter. Those of you looking to add these and other drinks to your mixology repertoire can quench your continuing thirst for knowledge by regularly returning to Biv. Each day you speak with Biv, you’ll receive one of two new repeatable daily quests at random. The first will teach you new Brewing and Distilling recipes every time you complete it, and the second will put your taste buds to the test as you experiment with the dubious effects of various drinks.